The Golf Club Restaurant & Pub is a one-of-a-kind indoor golf and restaurant experience offering nine indoor HD golf simulators, Golden Tee Live, a full restaurant, and craft beer. They tasked me with designing a menu for them that fit their brand’s personality and restaurant’s decor. The result? 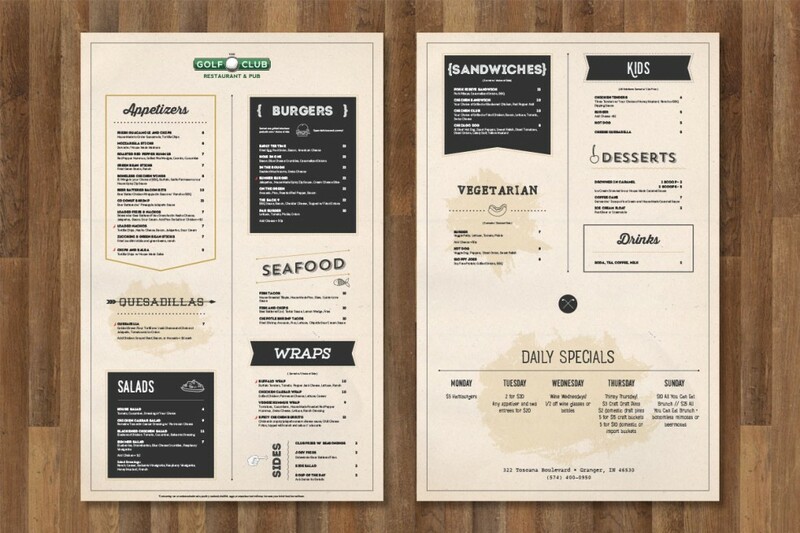 A double-sided menu with tons of character by tastefully using great typography and design elements.